In automotive parlance, “coupe” traditionally refers to a two-door car. But that definition was too restrictive for Mercedes-Benz. 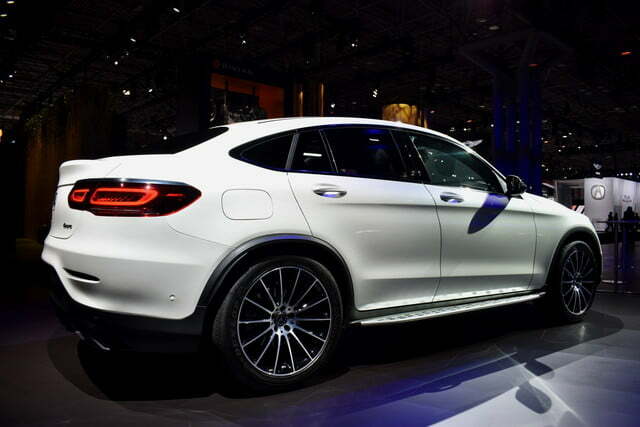 The German automaker invented the “four-door coupe” and, following the lead of rival BMW, now sells coupe versions of SUVs. 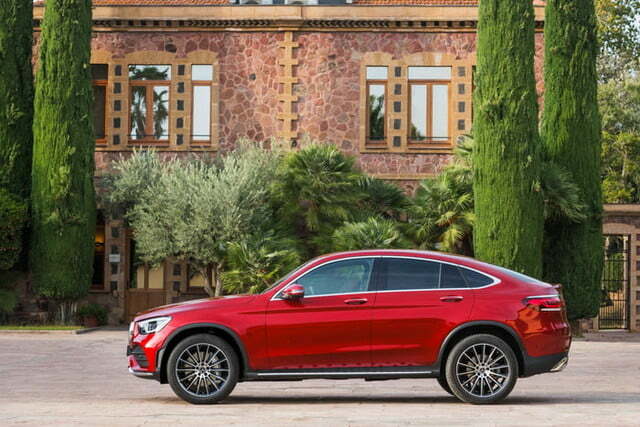 One of those models, the 2020 Mercedes-Benz GLC coupe, is getting a handful of updates in time for the 2019 New York Auto Show. 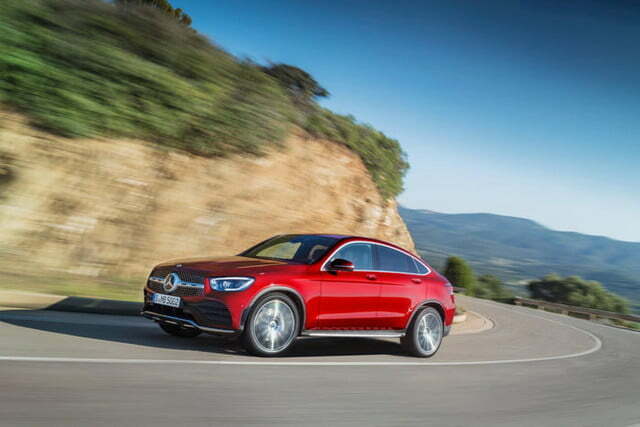 The GLC coupe is basically a Mercedes-Benz GLC SUV with a squashed roof. That basic look doesn’t change much for the 2020 model year, although Mercedes did make some styling tweaks. 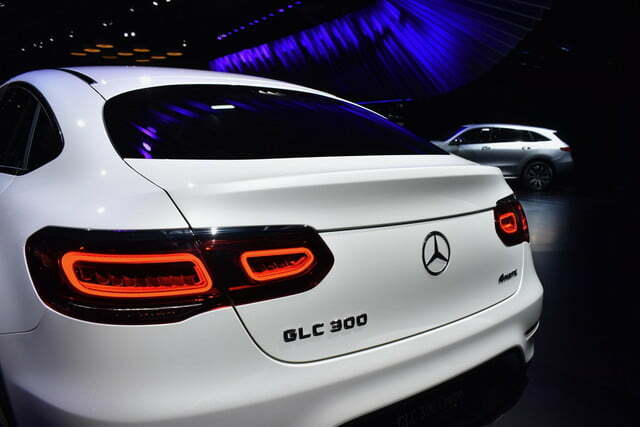 The GLC coupe gets a new grille at the front, and LED taillights and rear fascia at the back. On the inside, the GLC coupe gets a major infotainment upgrade. 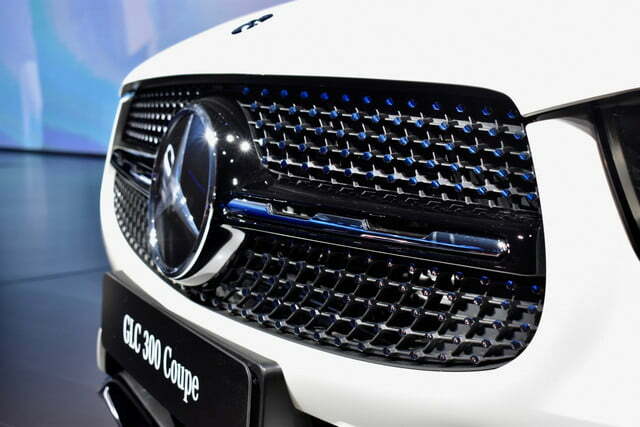 It’s the latest model to get Mercedes’ MBUX infotainment system, which debuted on the A-Class. 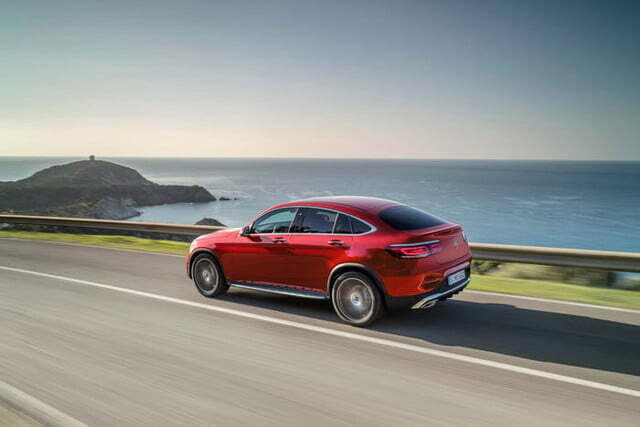 That includes Mercedes’ digital assistant, which allows the driver to issue commands with the prompt “Hey, Mercedes,” as well as significant hardware changes. A touchpad replaces the previous rotary controller. Mercedes also added touchpads on the steering wheel, and a gesture-control feature. Display screens are larger as well: A 12.3-inch screen is used for the instrument cluster, and a 10.25-inch screen sits above the center stack. 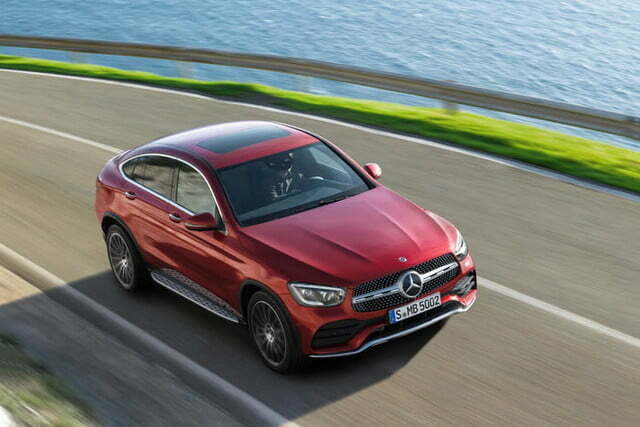 The GLC coupe will be available with Mercedes’ Active Distance Assist Distronic adaptive control and Active Steering Assist, which helps keep the car centered in its lane. Mercedes said the steering-assist feature can preemptively slow the car ahead of bends, and can execute lane changes. 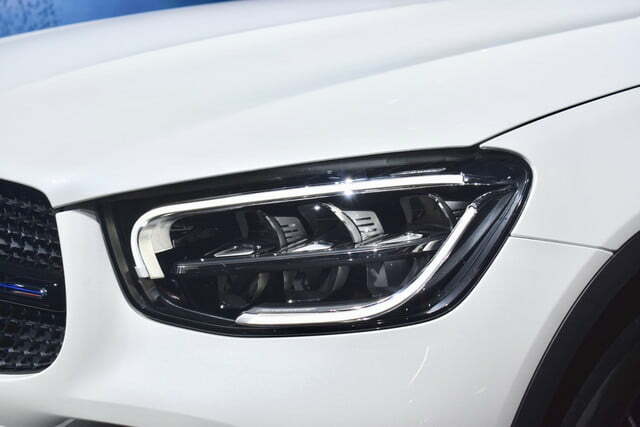 These features will likely be the tip of the iceberg, with more driver-assist tech likely to be disclosed closer to the updated GLC coupe’s launch. 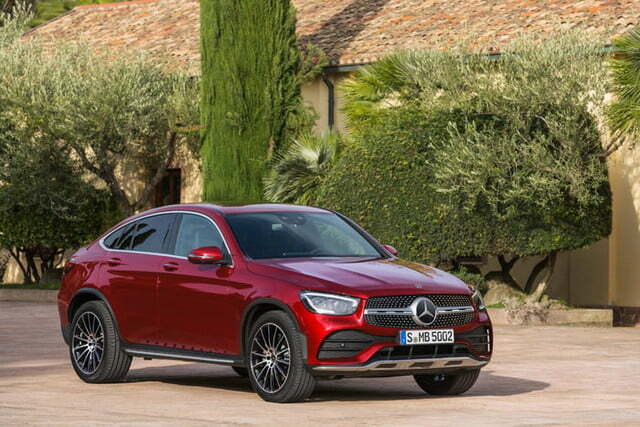 At launch, the 2020 GLC coupe will be sold only with a 2.0-liter turbocharged four-cylinder engine, producing 255 horsepower and 273 pound-feet of torque. However, Mercedes will likely follow that up with additional options, including updated AMG performance models. 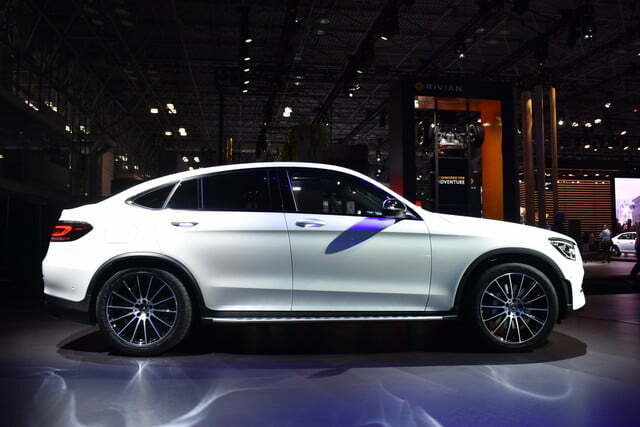 The 2020 Mercedes-Benz GLC coupe makes its public debut at the 2019 New York Auto Show in April. It goes on sale in the United States later this year, with pricing to be announced closer to the on-sale date. 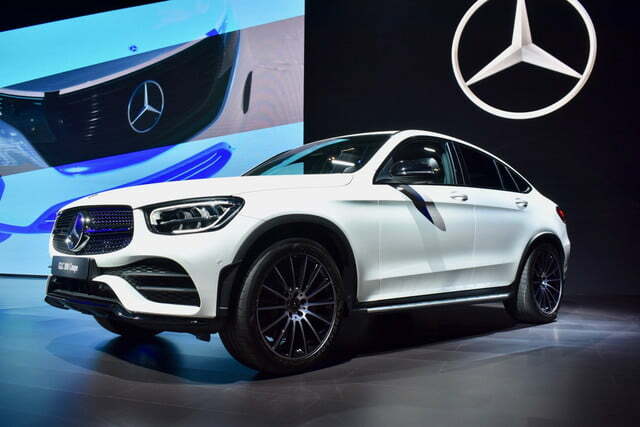 The standard (non-coupe) 2020 GLC, which already appeared at the 2019 Geneva Motor Show, will go on sale around the same time as the coupe with similar updates. Updated on April 18, 2019: Added live photos.